Meadowsweet is now coming into bloom along the stream here at Wychmoss. It’s original Latin name was Spiraea ulmaria which is where the name A-Spirin (aspirin) comes from as chemists first isolated salicylic acid from meadowsweet (it is also found in willow bark and, to a lesser degree, birch bark). You can certainly smell it in the leaves which are reminiscent of Savlon or Germolene! It is certainly nature’s aspirin, having the same analgesic and anti inflammatory properties although, unlike aspirin, it doesn’t affect your stomach. It was used by early people’s and often found in graves. Click here for Fort Teviot story. 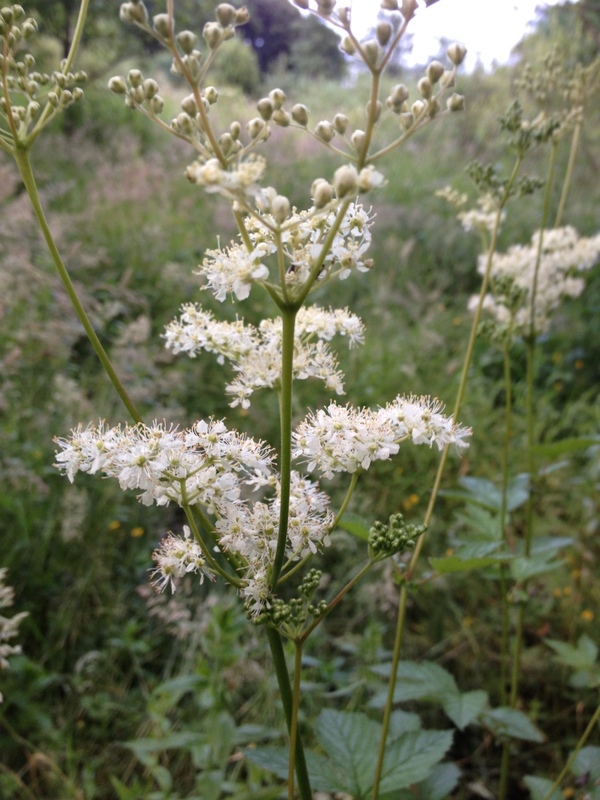 Meadowsweet flowers were used to flavour mead and are still used in Meadowsweet Cordial, teas and sorbets.